ICC Umpire Face Patch for EA Sports Cricket 07 Download free. 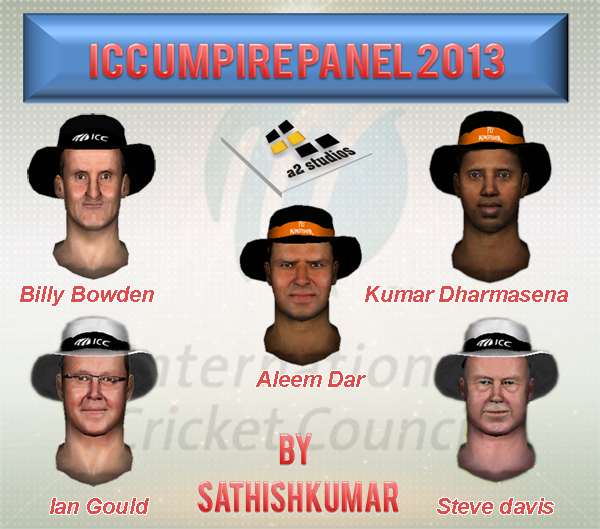 Download now ICC Umpire Panel Facepack Patch For Ea Cricket 2007 here. Its one of the most realistic faces ever made for Cricket 07 by Sathish Kumar PSK. After Downloading extract the .big file to any folder of your choice and install it via Player Editor for Cricket 07 by Varun. It' great.But I cannot install.Please tell me in details the procedure.